There are a lot of SEO experts out there that would have you believe that you need to hire them to perfect your SEO efforts. And you do. You should always consult with an expert when you want close-to-perfect results. But if you don’t have a lot of money to throw at that right now, or if you’d prefer to spend the time learning about this valuable skill yourself, you are not alone. Many new business owners take on the privilege of wearing many hats in their businesses. It’s usually because of several reasons including money, time, and they like to have a feel for what it is that they are going to hire for help with later. So if you insist on doing your own SEO, here’s how you can get away with it and not mess it up! Even if you don’t have the money to pay for a full-time or even part-time SEO expert service, throw some money at the problem and get some good advice from someone who has been there and done that. If paying for a consult is still out of your reach, talk to some of your web developer buddies who work in the same co-working space as you who might know a thing or two about what needs to go into a webpage in order to help it be found online. And of course, you can always take a course online, or for free to help you wrap your head around the concepts related to SEO without breaking the bank. The more people you talk to, the more you’ll realize how important SEO is for your rankings and your business overall, so don’t skip taking the time to explore your information resources before getting started. If there’s one thing you need to know about SEO, it’s that it takes time. You can spend every waking hour of your life working on your SEO and it will always need more work. That’s because search engines are always changing and the expectations of user experience often influence that information. For instance, meta descriptions were almost cut in half, reducing the size and space web developers had to describe a website’s individual pages. This means that concise, important wording is important. This can take time to perfect - if you ever get it perfect - but you shouldn’t strive for perfection. You should strive for progress. Like all things in business. Because SEO is changing all the time, you can focus on one or two key areas to get started and add more options in as you go. For instance, start building SEO into the content you are already creating with blogs and landing page content. Be sure to include relevant keywords in your headings, subheadings, links, calls-to-action and more. This way, you are laying the groundwork for your business online and helping people to find you with each new post you share. Again, as long as you are being consistent and realize that this is not a race, nor can it be won by racing, you will do just fine. 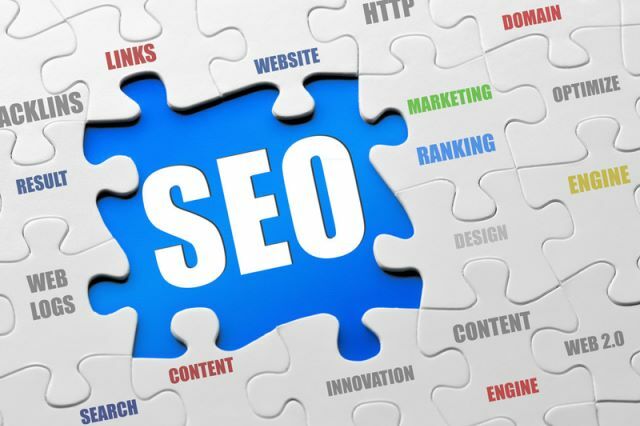 As mentioned, SEO specifications can change from time to time so if you already have an existing website, do the work necessary to go back and update your existing SEO. This is a great way to introduce yourself to the concepts related to being found online and you can use your longer meta descriptions, for example, as a guide to help you cut down the fat and get to the point in your descriptions, titles, and more. Don’t forget to capture the low hanging fruit related to SEO. Ensure you are putting alt descriptions for your images and any graphics you share on your website. Give each page its own unique name, and a URL that contains a keyword that is relevant to what is in the post or on the page. Don’t skimp on these details and you will be well on your way to having a progressive SEO strategy in no time. What Makes Wordpress Websites So Vulnerable To Attacks And How To Secure It From Hackers?